Karl Elmshaeuser, Nebraska’s USDA Rural Development State Directorr, is looking forward to his visit to Valentine, Nebraska, for a Listening Session scheduled for March 15, 2018 at Mid Plains Community College at 11:00 am. State Director Elmshaeuser will discuss USDA’s recently released “Rural Prosperity Report, Infrastructure Partnership, and Innovation” and how that ties back to the ABC’s of Rural Development, which includes affordable housing, business and economic development, and community infrastructure. The session will be open to anyone who wishes to share what is going on in their community and the needs they have. The listening session is scheduled to begin at 11:00 am at Mid Plains Community College, 715 E. Hwy 20 in Valentine. 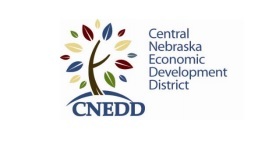 This event is being organized in joint by Valentine Economic Development and the Central Nebraska Economic Development District.